Most of the internet users use IE as their default browsers as it packed with the Windows operating system. But displaying content on IE using CSS can sometimes be painful. 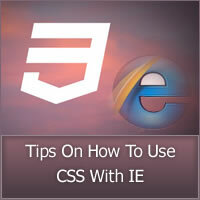 Here are some useful tips on how to use css with IE. it is an instruction to the web browser about what version of the markup language the page is written in. The doctype declaration should be the very first thing in an HTML document, before the <html> tag. → Centering the page or html elements using margin: auto;. Some web pages are made for resolutions upto 1024 pixels only. These website appear at the center on a Standard Definition(having resolution upto 1024x768 ) screen, but when viewed on High Definition( having resolution upto 1920x1080 ) screen, the webpage floats to the left in IE. The conditional code is similar to the regular HTML COMMENTS Tag except for the condition part. With Conditional CSS we can target specific version of IE and even target the versions greater than or less than any version of IE using keywords like 'lt', 'gt', 'lte', 'gte'. Paste this code inside the < head > </head> tags. → Starting of the conditional "if" statement. → Optional Terms like 'gt', 'gte', 'lt', 'lte' can be used for "TYPE". → 'gt' stands for 'greater than'. → 'gte' stands for 'greater than or equal to'. → 'lt' stands for 'less than'. → 'lte' stands for 'less than equal to'. → Optional Number indicating the version can be used for "VERSION". → Available versions are '9', '8', '7', '6', '5.5' & '5'. → Ending of the conditional statement. IE has its own set of CSS Visual Filters and that's why IE does not support all the regular CSS properties that other browsers do. Visual filters are extensions to CSS properties that change the display of an object's contents. Using filters simplifies the task of incorporating sophisticated effects in Web documents. 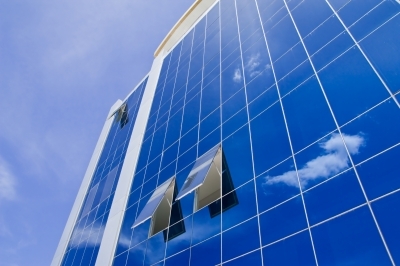 Filters are applied to HTML elements through the filter property. The filter property is a string of filter descriptions that uses a function-like notation. → This is the keyword for defining IE specific CSS Filter. → Other browser will ignore this property. → Here filternames like 'alpha', 'blur', 'wave' can be difined. The Alpha filter blends its target into the background; you can control the amount of opacity. Opacity is expressed as percentage. The following HTML causes the image to be 20 percent opaque. IE reliably supports nearly all CSS 1 and CSS 2 properties. IE supports very few CSS 3 properties. Here's a list of all the CSS3 properties that IE doesn't Support. Internet Explorer does not support any of the CSS3 multi-column layout properties. Internet Explorer does not support any of the CSS3 speech properties.